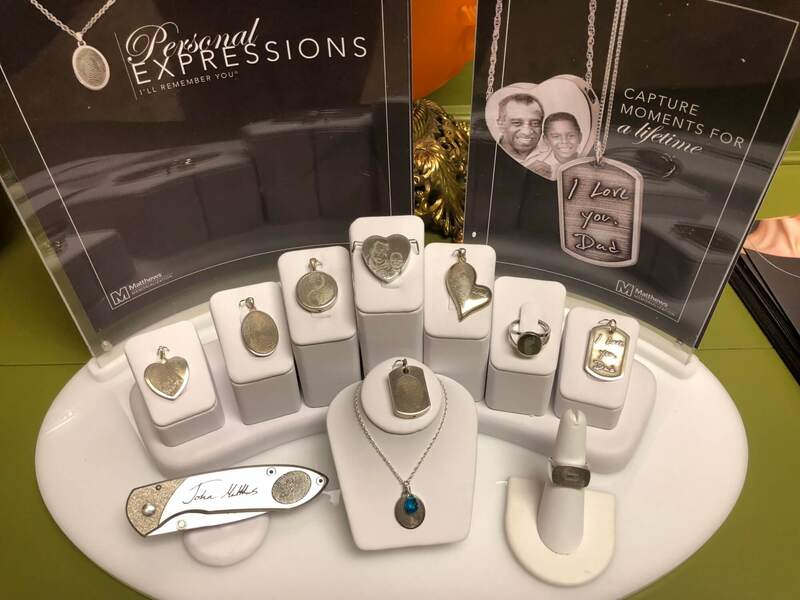 Personal expressions features a unique option to keep your loved one's fingerprint or writing with you via jewelry. 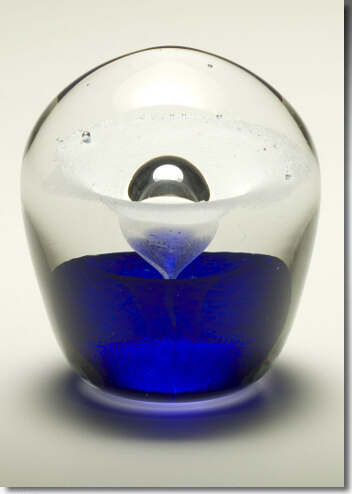 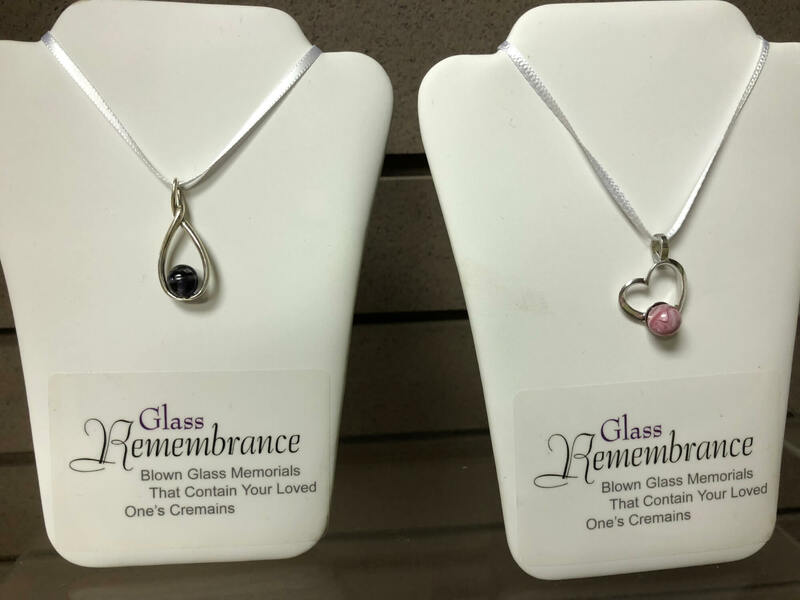 Your loved one's remains hand blown into glass memorials. 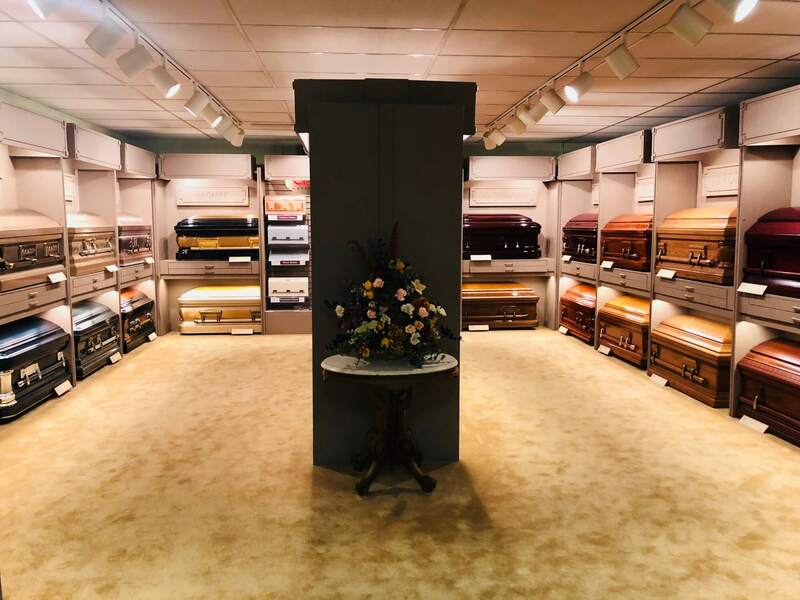 Our showroom has multiple caskets in various finishes, styles, colors, and price ranges.